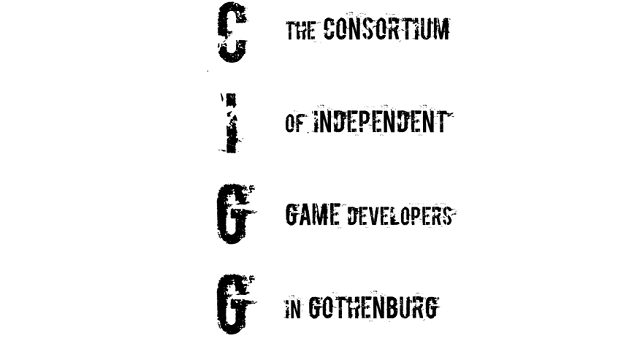 The Consortium of Independent Game developers (CIGG) in Gothenburg is a network of individuals or smaller companies currently making indie games in the Gothenburg area. Like most collectives it’s a tool to help its members collaborate, spread news and information, and to help promote each others work. I reached out to co-founder of CIGG Mårtin Jonsson about the initiative. What is your role within the organization and how did the idea for CIGG come about? My role is as founder and organizer. There is a co-working and makerspace in Gothenburg called Collaboratory that I’ve been using as place to work from, to avoid sitting at home all the time. The guys from Skygoblin use it for the same reason, and we talked about trying to get more people to become members there, and that’s where the original idea for CIGG came. So I started thinking about it, contacted the developers I thought would be interested, brainstormed and presented my idea, and they thought it sounded good. People have tried to organize the indiedevs in Gothenburg in the past, but it always falls apart, that’s why I presented a finished concept without to much internal debate. Make it easy for everyone, basically. What are the primary goals of the collective? Creative, Financial or beyond that? The first and foremost goal is to get the developers that sit at home to get together in a co-working office. Making it easier to share ideas, playtest, and simply socialize with peers. And to make it easy to contact one another for organizing events, trips etc. In the long run there are plenty of things I would like to accomplish, but I’d rather take it slow now in the beginning. Having to grandiose a plan is what makes it fall apart. But for example, an incubator for new developers would be a great thing to have, however that requires funding, and the city of Gothenburg is notoriously bad at giving creative venues that. For example, the Collaboratory have been seeking funding for years, and keeps getting rejected, despite all the benefits it would give Gothenburg in terms of business development, startup attraction, and helping the game industry in Gothenburg evolve. There are even examples of similar space receiving funding from its city (Stapeln in Malmö comes to mind). Are there any criteria developers need to fulfill to be part of the collective or is it open to anyone? First I have to mention that there already is a community in Gothenburg, called IndieGBG, that hosts get togethers on Mondays every other week, that’s open for anyone, devs, hobbyist or fan. CIGG was created for developers working solo or in smaller companies. There are no official criteria, but the guideline is that you are actively working on game projects with the intent of release. So being more than hobbyist, and not simply being employed by a larger game company. The lack of women in CIGG are for the same reason as in the rest of the industry, there simply are fewer of them. There are women in the IndieGBG network, and the Collaboratory is run by a woman, but there seems to be very few solo indie devs that are women, at least in Gothenburg. How do you hope to develop the collective? First and foremost it has to get off the ground. Then, hopefully, get poeple to start working from the same space. After that, I’m hoping to have discussion with the members on what can be done with the network, but my personal goals would be to register CIGG as a publisher, and in the long run have an accountant on retainer for everyone to use. Help the devs in Gothenburg handle some of the more boring aspects of running a company. But that all depends on if the organization can get any funding, or how much the members feel like contributing. The core concept was to make it as easy as possible for everyone to be a part of it. Right now there are no memberships-fees or anything, and that’s not something I’d like to add either. Do you see CIGG collaborating with other regions and collectives? If so, how?